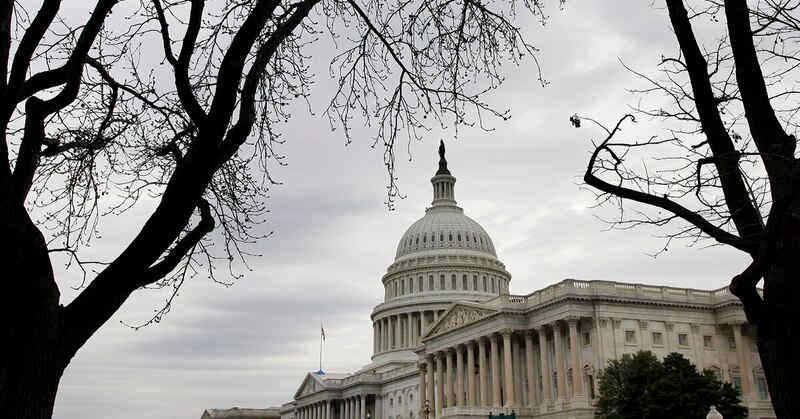 WASHINGTON — House appropriators released their omnibus budget bill on Wednesday without a proposed package of veterans reforms included, a missed opportunity that has lawmakers and veterans groups worried whether the ideas will ever move forward. The $1.3 trillion spending package — which includes the full fiscal 2018 funding for the Department of Defense, Veterans Affairs and other federal agencies — must be passed by the end of the week to avoid another partial government shutdown. Officials released the overall spending parameters for the budget in last month, but worked out funding details for the massive measure in recent days. The must-pass nature of the legislation made it a target for a host of special interest items, including the proposed VA reforms. The package circulated among lawmakers and outside advocates called for an overhaul of VA community care programs — the White House’s top legislative priority for the department this year — along with an expansion of veteran caregiver benefits and a review of the VA system’s national footprint. Advocates say they're close to a deal to add three major pieces of VA legislation to the budget bill under consideration this week. Democrats and Republicans on the Senate Veterans’ Affairs Committee agreed to the plan, as did House Republican leaders. But House Democrats raised a host of objections to the idea in recent days, sidelining the possible reforms for now. The community care changes are part of the department’s efforts to phase out the controversial VA Choice program, which allows veterans who meet certain criteria to receive care from private sector doctors at taxpayer expense. Earlier in the day, VA Secretary David Shulkin testified that the Choice program is set to run out of money in early June, potentially disrupting medical plans for tens of thousands of veterans nationwide. He has pushed Congress for a solution that would ease eligibility restrictions and simplify all VA outside care programs into a single funding stream. Getting that done as a stand alone will be more difficult, especially given the contentious behind-the-scenes negotiations between Republicans and Democrats in the House. After the budget bill release, House Veterans’ Affairs Committee Chairman Rep. Phil Roe, R-Tenn., said he was disappointed by the result, but added “that doesn’t change the fact that veterans and their caregivers need these reforms. He noticeably did not reference House Democrats, who Republican blamed for blocking a deal over political issues. 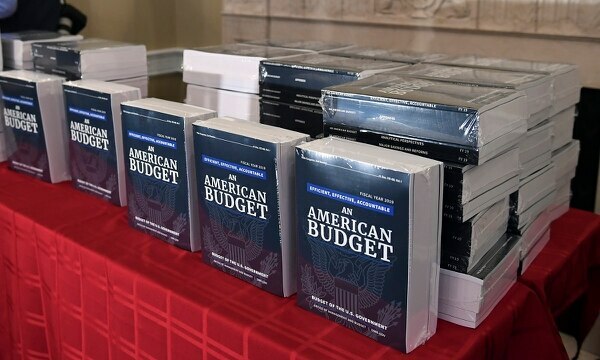 Party officials have hinted they may try to block the budget bill over a host of concerns, including immigration issues missing from the measure. But Griffin Anderson, spokesman for the House Veterans’ Affairs Committee’s Democrats, said the decision to oppose the VA reforms deal came down to policy concerns, not politics. He called the proposal too rushed and incomplete for the minority party to support. He said the community care overhaul plan still relied on arbitrary eligibility rules, the asset review plan would undermine VA infrastructure, and neither of those reforms had the promise of new appropriations with them. Republican officials blasted those criticisms as ridiculous. They noted that committee ranking member Rep. Tim Walz, D-Minn., has previously offered identical legislative proposals on caregivers expansion and community care issues in the past. “All these proposals have been considered by either the House or Senate committees through regular order,” said Tiffany Haverly, spokeswoman for Roe. She dismissed the funding concerns and said Democrats have been inconsistent with their concerns over the asset review and outside care changes. She also noted that their Senate committee counterparts had signed on to the plan. On Wednesday, before the official omnibus release, Senate Veterans’ Affairs Committee ranking member Jon Tester, D-Mont., lamented the inability to reach a compromise. “The negotiations with the omnibus, everybody was on the same sheet, including the White House,” he said. “Hopefully we can get his passed, because it’s the final piece of a puzzle to hold VA accountable for both VA care and choice care. Veterans groups were similarly upset that a compromise could not be reached. Carlos Fuentes, national legislative director for the Veterans of Foreign Wars, said his group is also worried failed reforms bid now makes future progress on the issues more difficult. Senate Veterans’ Affairs Committee Chairman Johnny Isakson, R-Ga., said he was also disappointed to miss out on including the reforms in the omnibus, but said he thinks the work done will have a positive result in coming weeks. He intends to bring up the issues again in early April, after Congress’ upcoming spring break.